One of the perks of being a teacher - besides the exorbitant salary, of course, haha - is teacher gifts. Granted, these are few and far between, but always appreciated. I usually got a few teacher gifts at the beginning of the year, on my birthday, during teacher appreciation week, and at the end of the year. unwrapped food, straight from their sweatshirt pocket to your hand. Sketchy. Gift cards! The best is when moms pool together to get a Target or iTunes gift card. Teachers also love gift cards to movie theaters or restaurants in the area. Handmade notes, letters, and drawings. Those never ever get old, and when they come from the heart, they are especially wonderful. I still have a box of student notes that I just couldn't get rid of when I was cleaning out my classroom. School supplies! School supplies are like Christmas for teachers. Here are three easy ways to give school supplies to teachers. 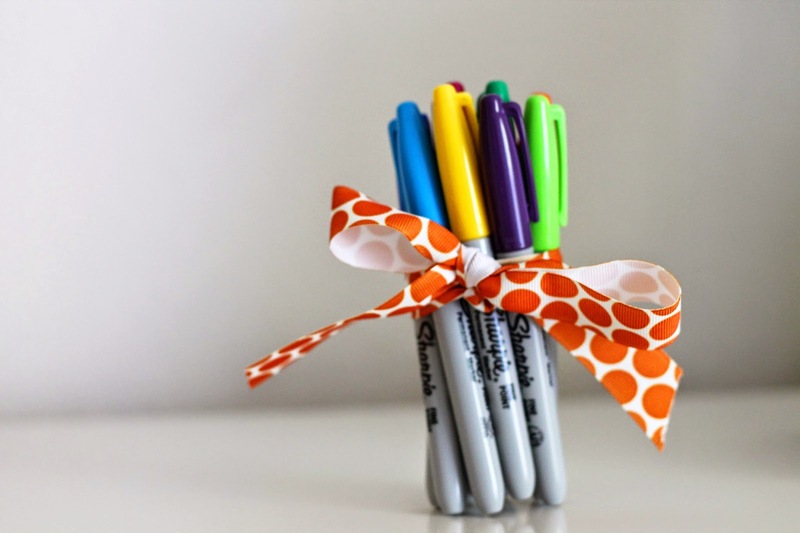 Dry erase markers - I used these every day in my guided reading groups. 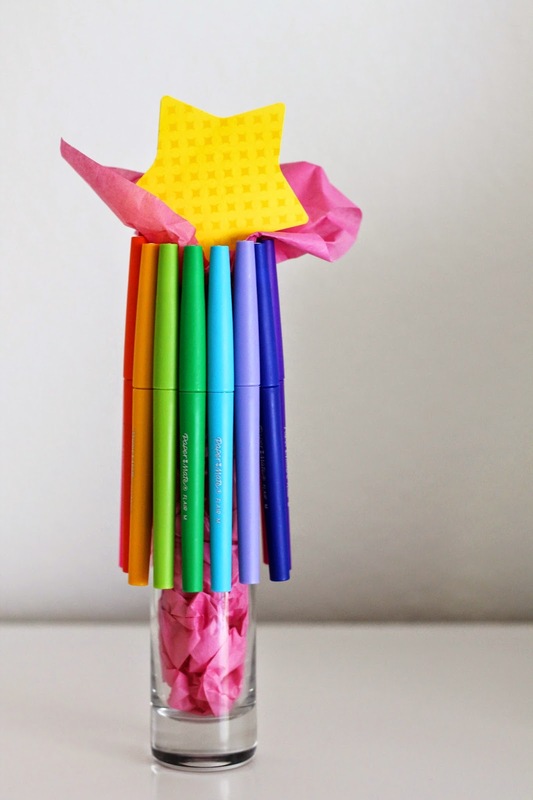 Take dry erase markers (I used Expo Neon Window Markers from Office Depot) and hot glue a pom pom to the top of each one. That way, when students are using them at the back table, they can quickly use the cap to erase their work. 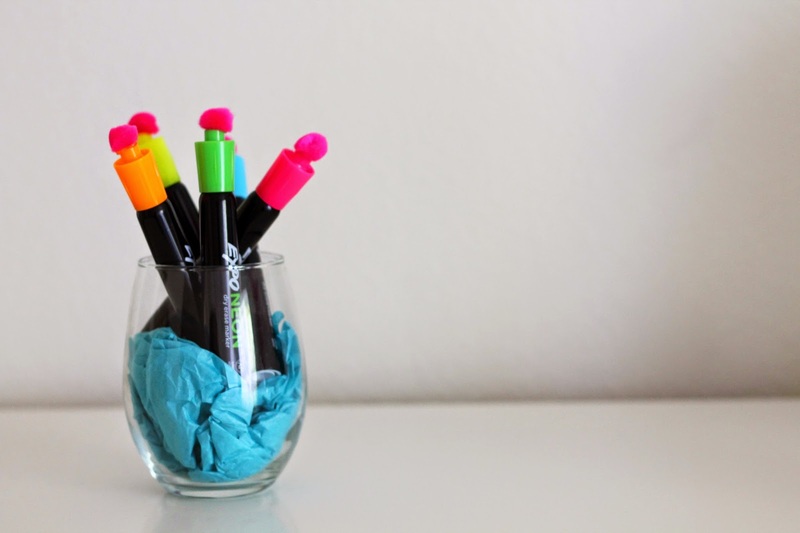 Colored pens - Take a long, thin vase, like the ones you find at the dollar store. Line the rim with PaperMate colored pens (mine were from Office Depot, and there was a huge selection). 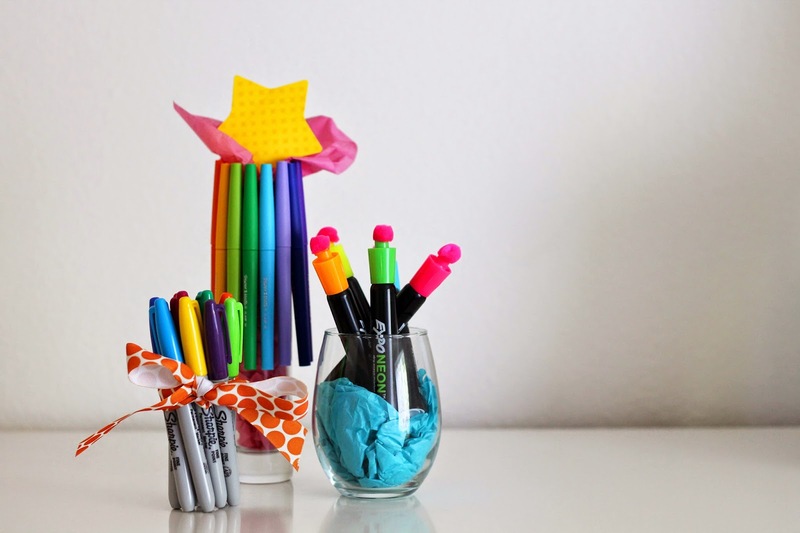 Top it off with colored tissue paper and a pad of Post-it notes for a gift all teachers will love. Et voila! 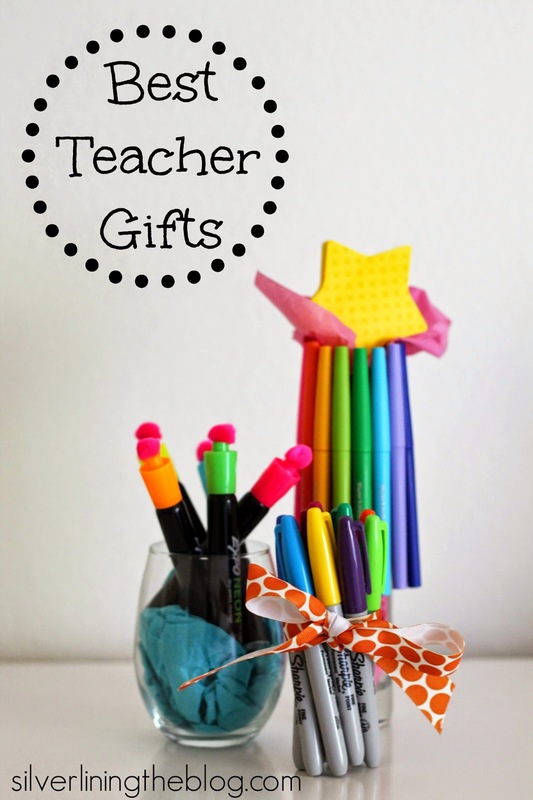 Now when teacher appreciation week comes up, you can forego the lotions and mugs and give something your child's teacher will love and use. These gifts... Even the all too familiar weird half eaten food products makes me sad. There are some aspects of teaching I'll always miss. But, yes, school supplies are always a favorite of mine. I loved post is, markers, pens.. All of it. Hilarious! Such cute ideas though! 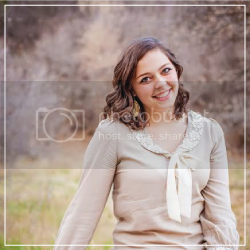 :) Good news, I am ordering my new lens next week! So excited! My dad's a teacher and he's gotten some nice gifts and some random stuff too. I love the markers/pencil ideas. Rachel would totally do a bag with random stuff in it if I let her! It's hard to reign her in and still let her have a say in the gift :) She hasn't suggested half eaten food yet though! Those are common enough gifts but I love the way you suggest to present them! Thankfully, as a junior high teacher, I never had to experience those more "creative" gifts your students gave you. I always appreciate chocolate!